All four UKIP councillors in Sheffield voted to open up one of the city council's unused buildings to house homeless people. 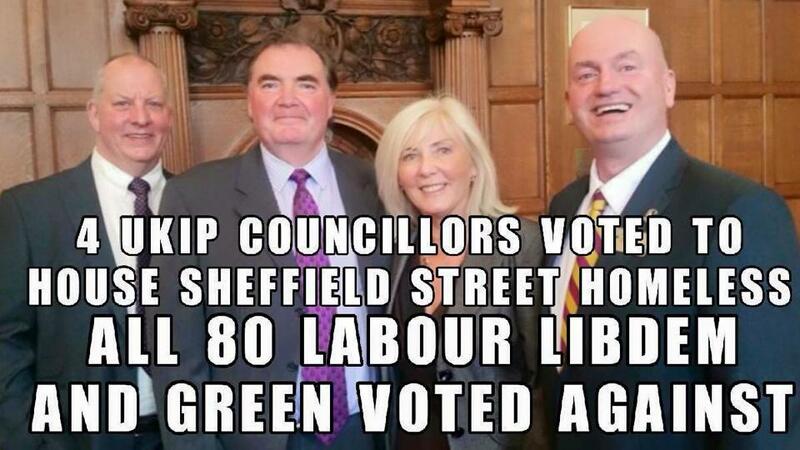 All 80 Labour, Lib Dem and Green councillors voted against it. Remember when the left used to want to help the worst off in society?